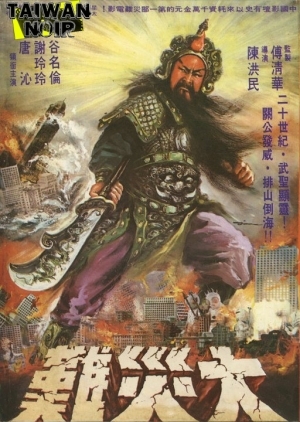 General Guan Yu battles aliens from Mars. Interested yet? Plot: “Blood Brothers” is the story of three friends, Fong and two brothers; Kang and Hu. They leave their old village lives behind in the slums of the mainland. They travel to Shanghai where they seek wealth and a better live for themselves as well as their families. Kang manages to score them job working in one of the most swanky night clubs in Shanghai “Paradise”. Paradise is owned by successful movie producer Hong, but Hong also leads a double life as highly feared crime lord who rules Shanghai with deadly enforcers. The group of friends find themselves tested as become enforcers for Hong. Wealth and power comes their way at a price, a price so grand it could only be paid in blood.